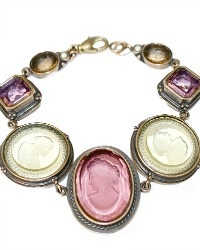 This collectible heirloom quality Charm Bracelet is just so beautiful. Seven hand pressed transparent and opaque hand cast German glass intaglios glow and catch the light with your every move, each has a stunning portrait of a lovely lady. A fresh water pearl adds a decorative accent. 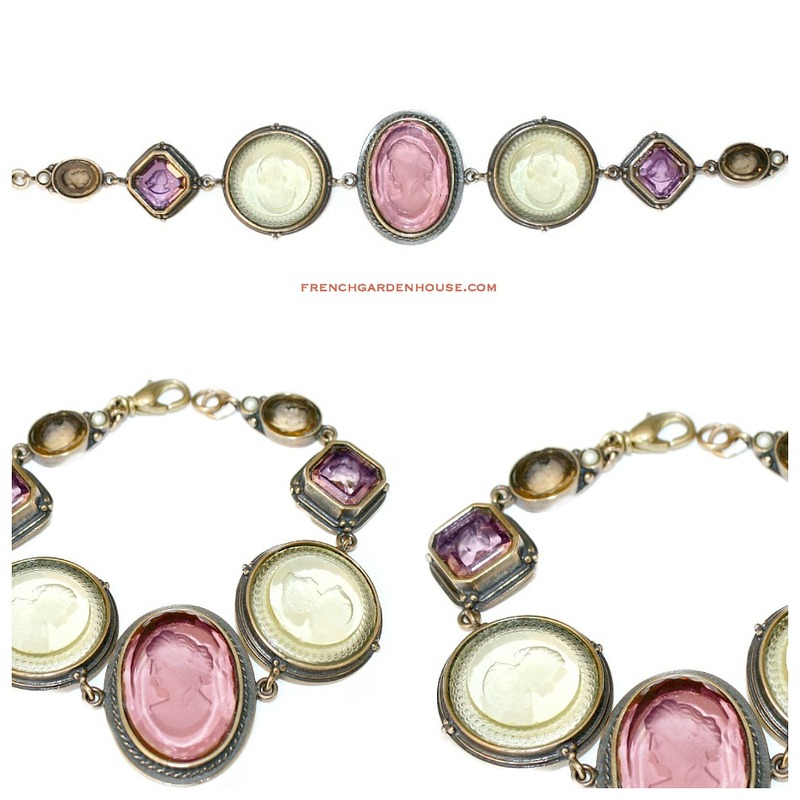 The colors of this bracelet are gorgeous, rich jewel tones of Pink, Amethyst purple, Jonquil yellowand Taupe. Truly a luxury statement addition to your jewelry collection. 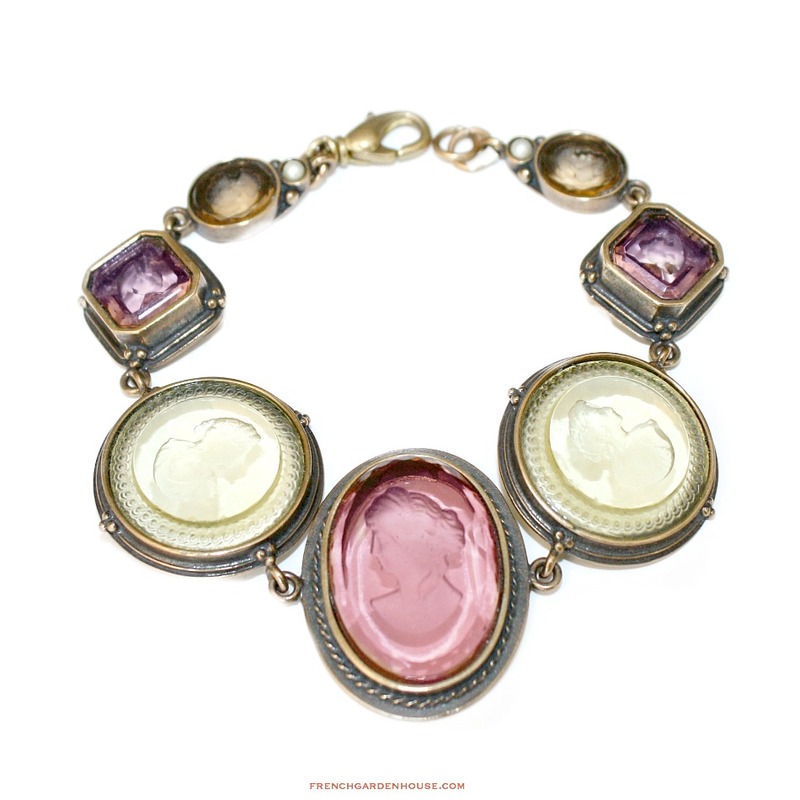 Each hand pressed German Glass Intaglio was made using original antique molds and techniques unchanged from the 1800s. Largest charm measures 1-3/4", bracelet is 7-1/2", it is highest quality Bronze. (Polish like silver) Lovingly made in the USA.